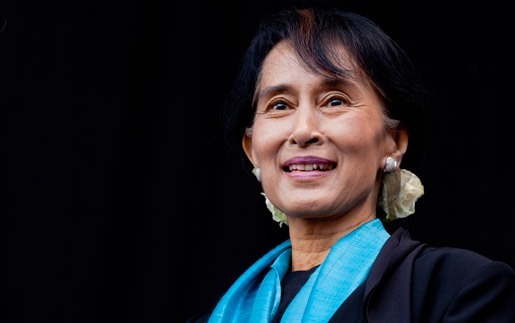 Aung San Suu Kyi has been stripped of Amnesty International’s highest human rights award. The Ambassador of Conscience Award was bestowed upon her in 2009, it now stands withdrawn. Amnesty’s secretary general Kumi Naidoo wrote to Suu Kyi on Monday informing her the same. Kumi wrote – “You no longer represent a symbol of hope, courage, and the undying defense of human rights”. Amnesty had stated Suu Kyi failed to use her political and moral clout to safeguard the rights her people. Suu Kyi was also awarded the Nobel peace prize. She currently faces severe international scrutiny over the rohingya crisis. The Myanmar military in 2015 launched a massive crackdown on rohingya people living in Rakhine province. The Buddhist dominated nation termed the crackdown as ethnic cleansing. Over 700,000 people fled to neighbouring Bangladesh. The Mayanmar civilian leader Aung San Suu Kyi shielded the army. The state imprisoned several journalists who reported the crisis.